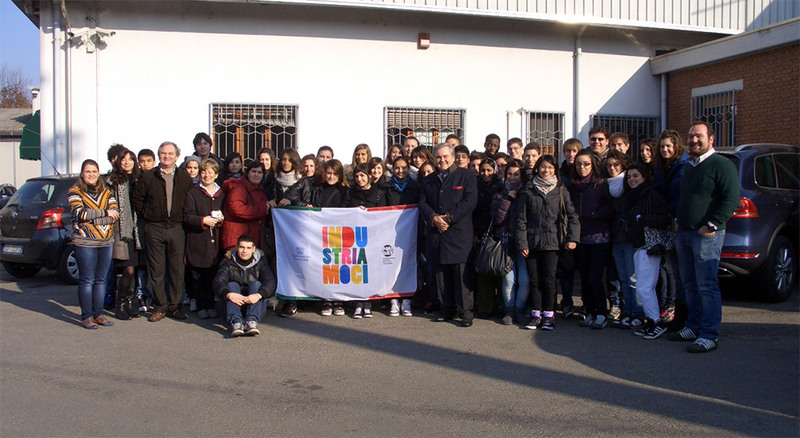 Friday, November 25, 2011, in occasion of the second National Day of small-medium enterprises entitled "Industriamoci - PMI DAY 2011", promoted by "Piccola Industria Confindustria," the company Maresca opened its doors to 40 students of four classes of ^ 'ITC "E.Sanfelice" in Viadana (MN). After a general presentation of the company, the students were able to visit the factory and follow the entire production cycle: from the warehouse of raw materials to the one of the finished products, passing through modeling, injection molding machines and manovie. In this way, the students led by the owners, were able to come into direct contact with the working world and with the values ​​of small and medium enterprises.